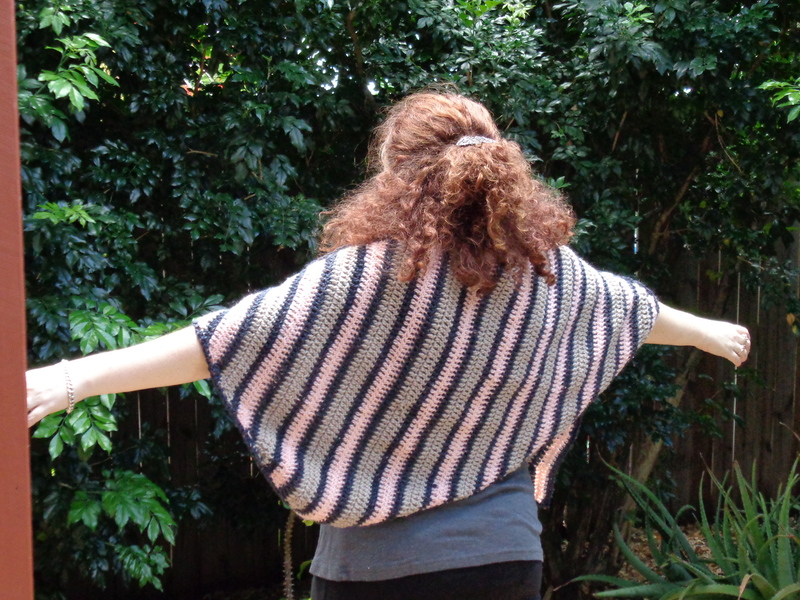 Eyelet Scarf Tutorial – 6. Finishing off! Woof, woof, woof and woof! 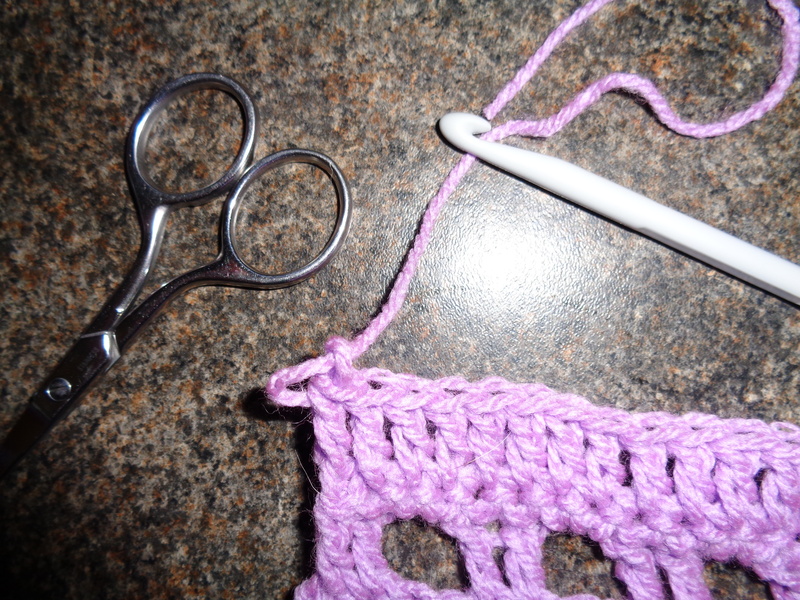 Today we’re up to the finishing touches on our Eyelet scarf! It’s so excitement. Do you like my picture of Emma and my scarves side by side? 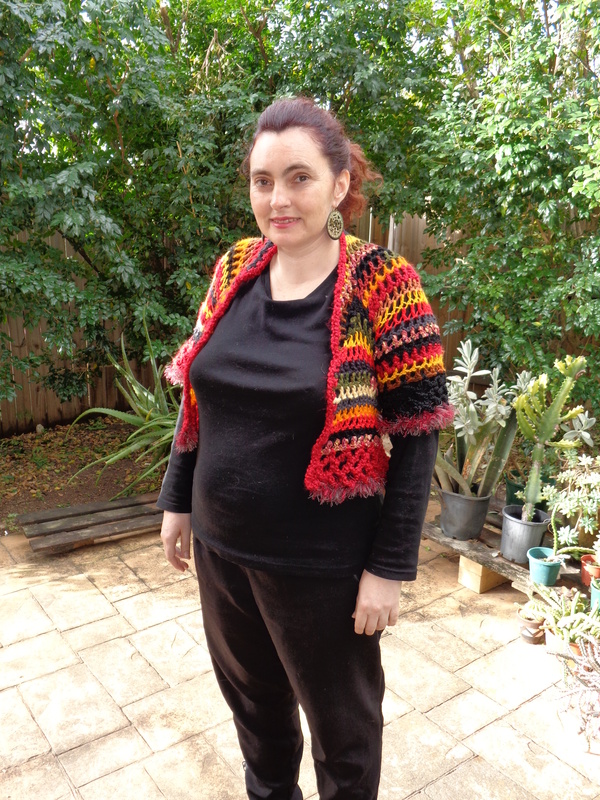 I think I’ve done a very good job in the end – I certainly had to unravel parts – but now it’s looking great! How is yours looking? 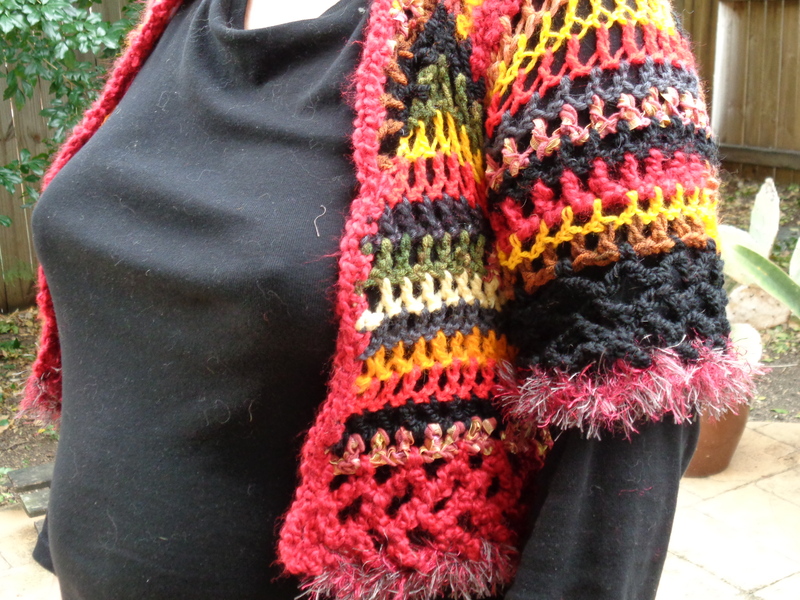 Now you use a needle and thread to sew in the loose ends of yarn created by the color changes. It doesn’t have to be done in any particular way, I just sew an end into the fabric moving out from the knot for a little way, then turn around and sew back the way I came. Finally I chop off the remainder of the thread and you can’t see it. 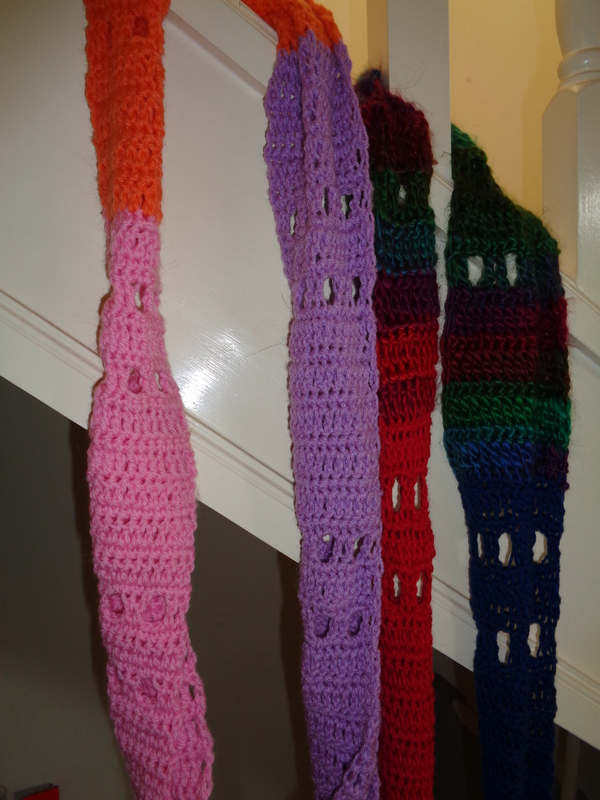 I hope your scarf is fantastic and you’ve enjoyed learning to crochet. 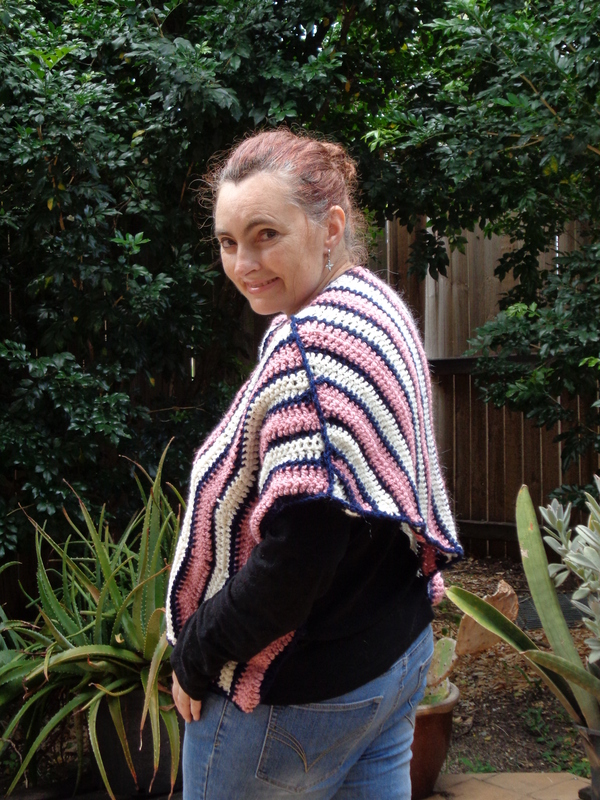 We have some other FREE patterns for beginners that you might be interested in making so check out the Beginner Projects page for the details. Happy hooking. Until next time …. Woof! 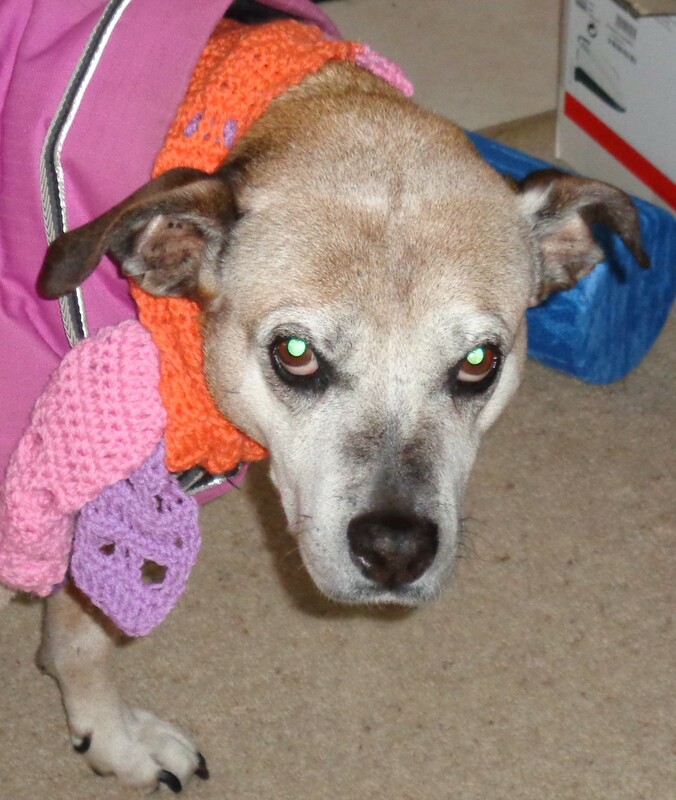 Woof and welcome, it’s Olive the dog here showing you how to make the Eyelet Scarf – let’s see how your first 17 rows went… all good? Congratulations. This is how mine is looking. OK so the next thing to do, is to check your rows by counting them. 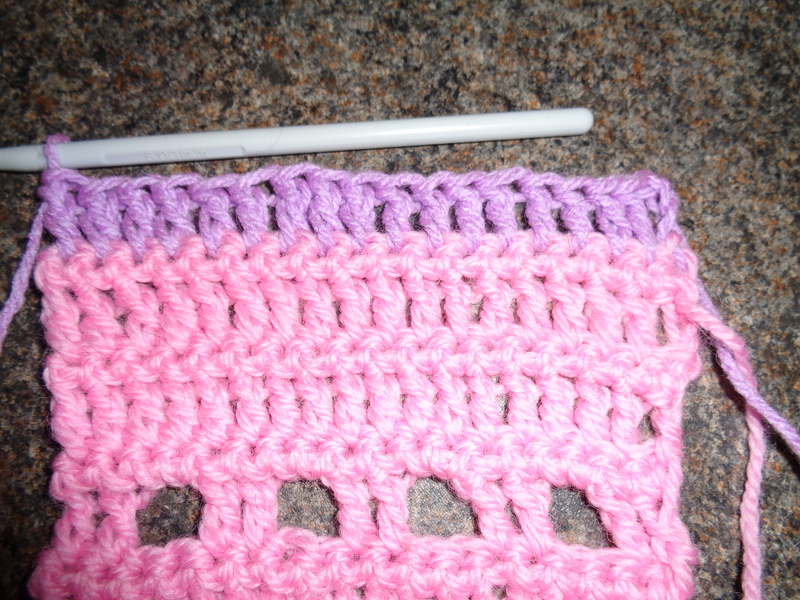 When you are crocheting you can save yourself time by only counting the rows in the current section. 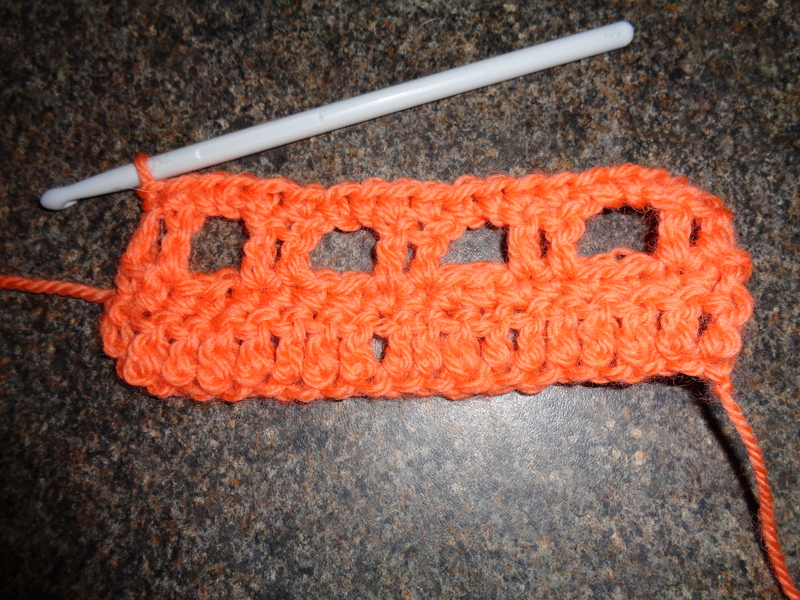 For example after your 2 rows of eyelets count 5 wide rows to reach the top of the section. Then check that there is a short ridge – a row of sc – between each one. But you must end on a wide row. When you think you’re at the top of Row 17 count ALL the rows a couple of times from the bottom to be certain. The next thing we do is repeat row 2-17. Make sure you are starting with Row 2 – a sc row – and not Row 1 – a dc row. 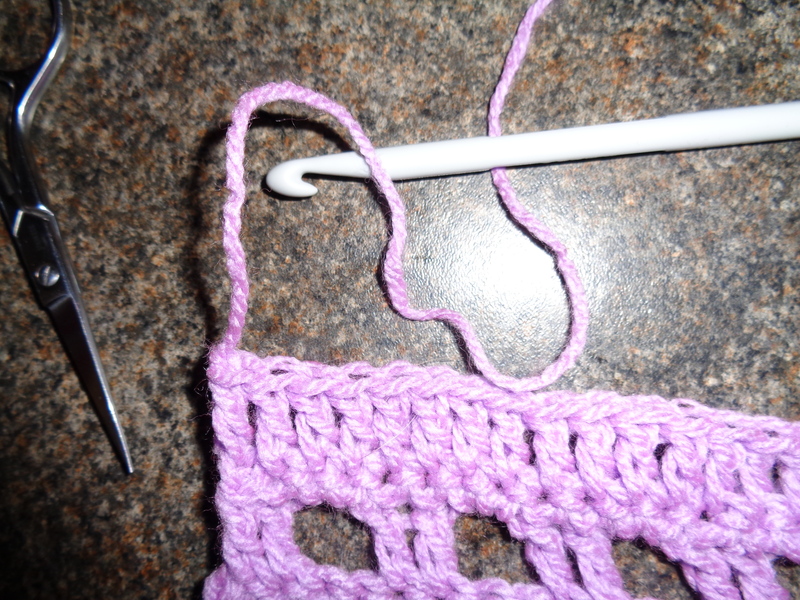 And that Row 3 – the first row of eyelets is – the SECOND row you make. Then you should be right to just follow your nose, I mean the pattern. So now do 2 rows of eyelets, and 5 wide dc rows (always checking there is a sc row in between) and I’ll meet you at row 33. AFTER you’ve counted them from Row 1-33 to make sure you’ve done them all. 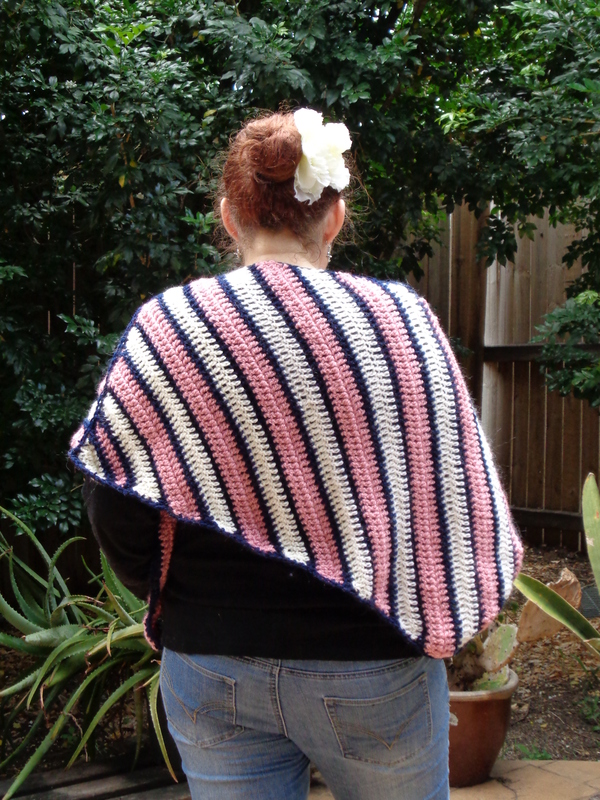 And now we’re going to do another 9 rows and a color change. Make absolutely sure you’ve done Rows 1-42 and you’re about to start Row 43 first. 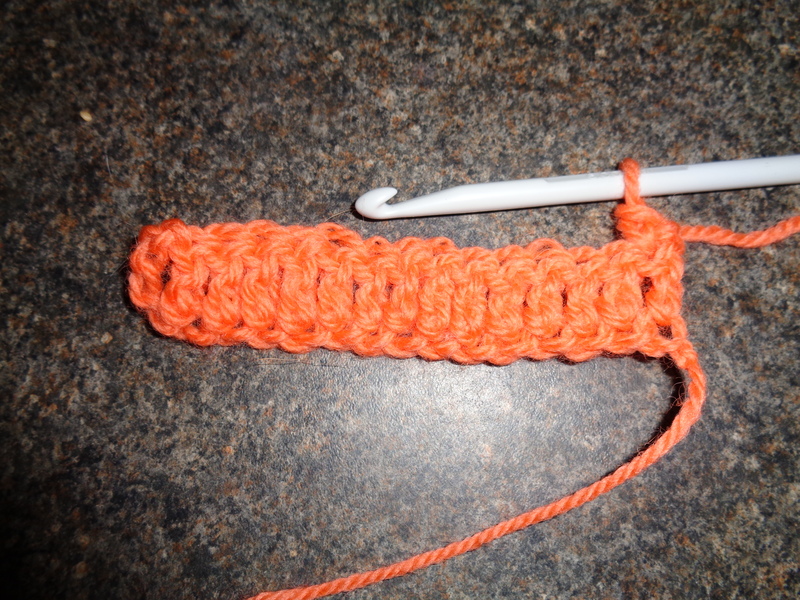 Pull both color ends to tidy up the stitch, and you are ready for your turning ch in the new color! 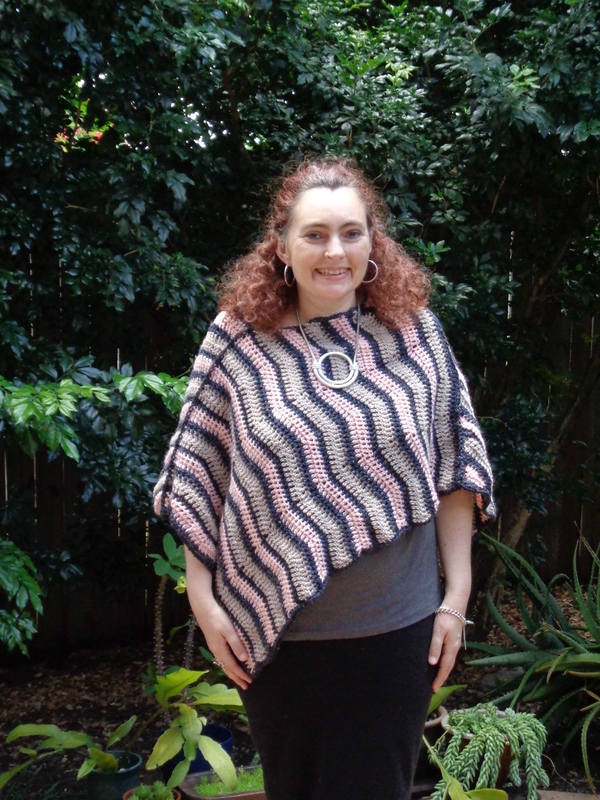 So now go ahead and finish the first row in the new color. It should look like this. 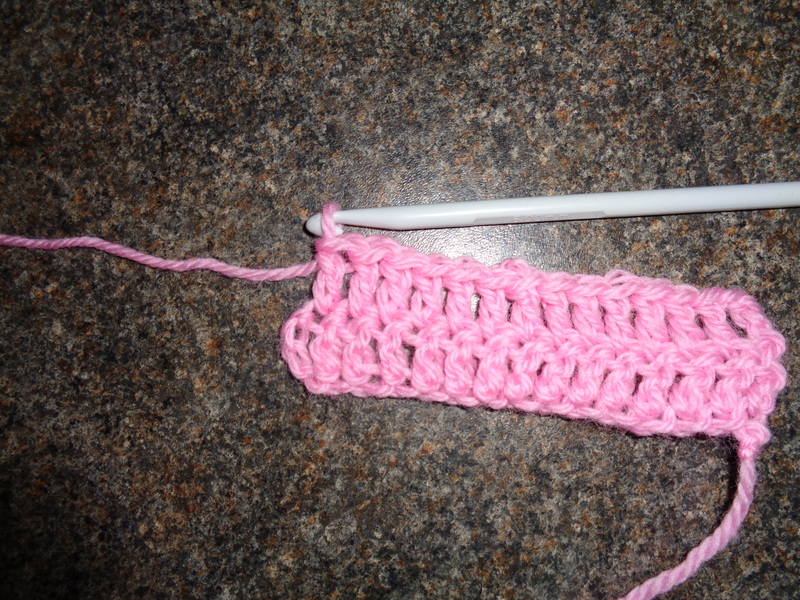 And that is all you need to know to get to the end of the scarf! Happy hooking and I’ll see you when you reach the end so I can show you how to finish it off. Last time we made a sample square. OK, woof, so now you are happy with your sample, right? 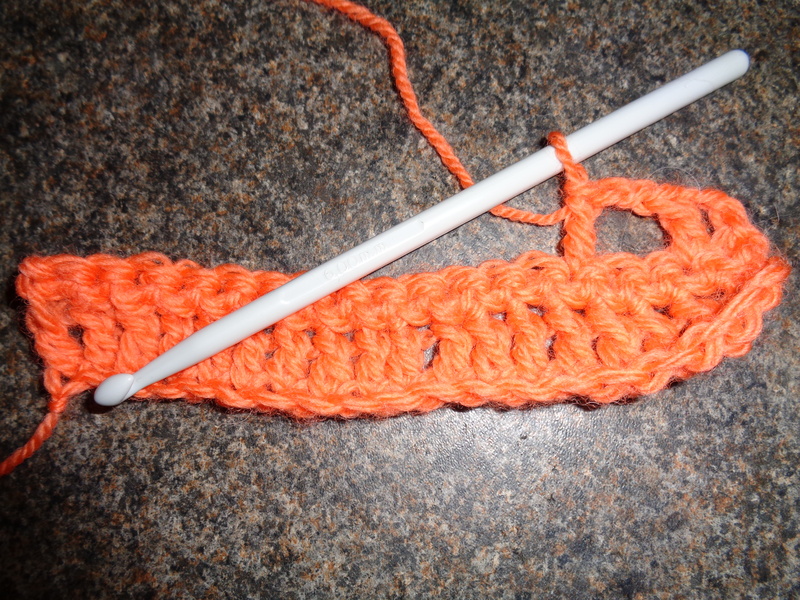 Let’s start the scarf for real! Put aside your square, or unravel it. 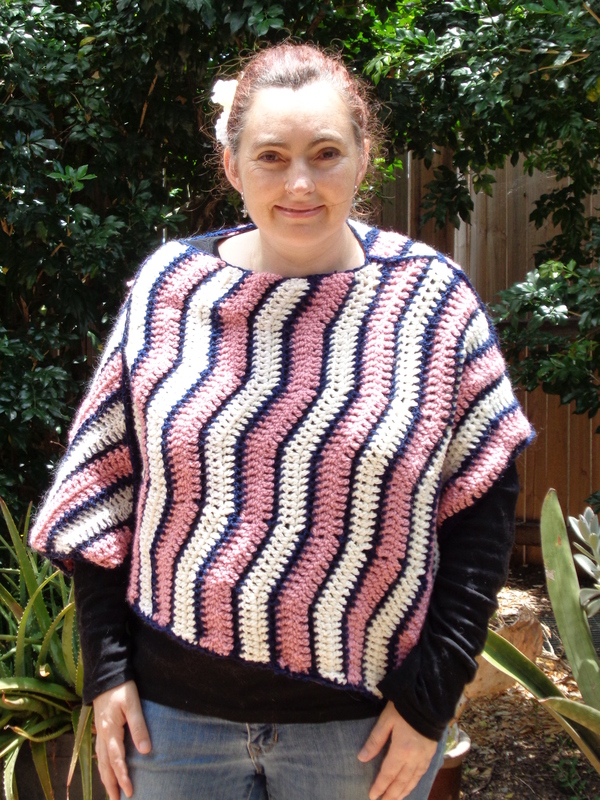 As you will read on the pattern, the foundation ch is 18, Row 1 is dc and Row 2 is sc. This is basically the same as what we have already done but a bit wider. Follow the instructions on the pattern and let’s meet up again when you’re ready for Row 3. 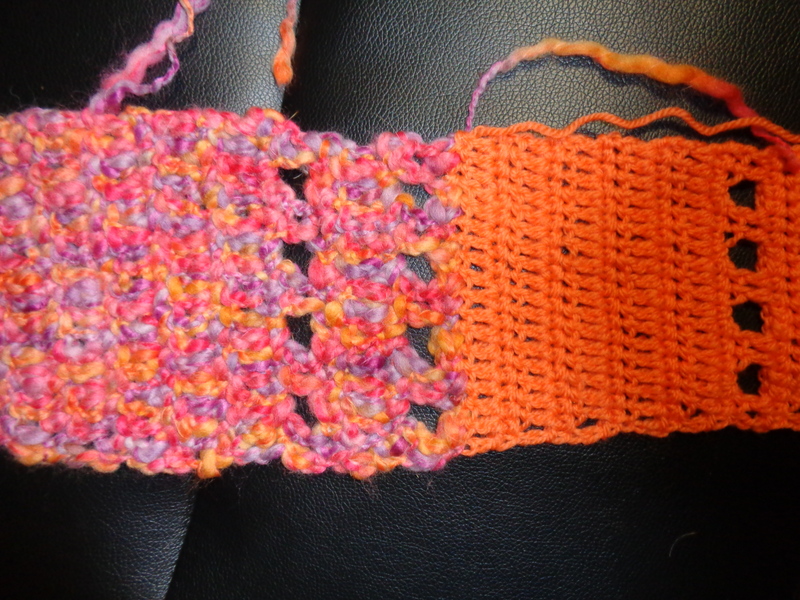 OK for Row 3, we do our turning ch (3 ch), 1 dc into the 2nd dc and then we do 2 chain stitches. To make the eyelet we skip the next two sc and we dc into the sc after that. This is how it should look. 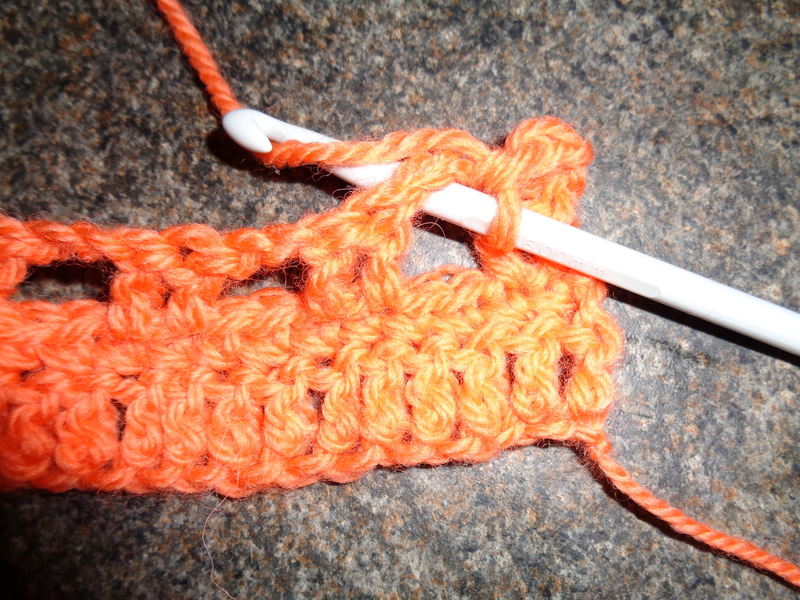 As you can see, the two ch stitches line up over the two skipped sc so that we have a hole but we still have the same number of stitches. 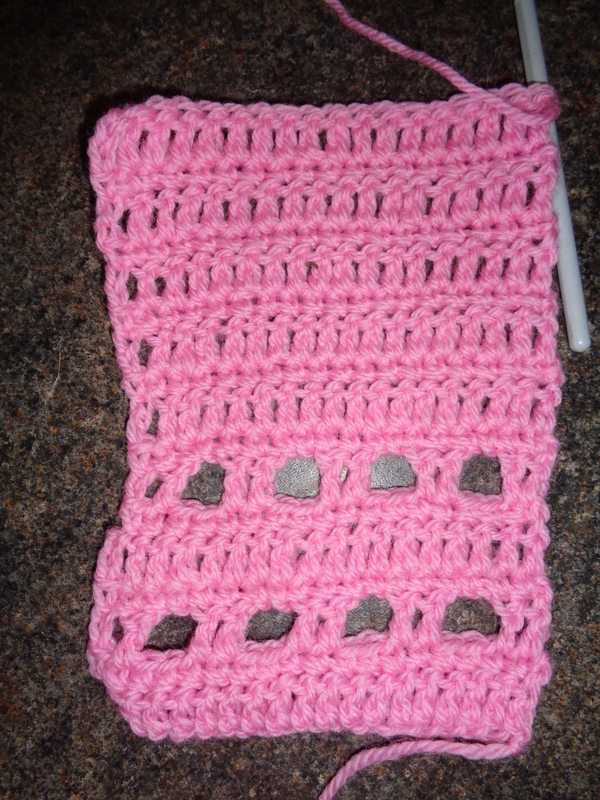 Now see if you can complete the row and make it look like this, remember to count those stitches at the end of the row. Now the next row is a sc row, but there is a trick to make it easier. Instead of trying to sc into the ch stitches themselves you can sc into the spaces they have made, as referred to in the pattern. 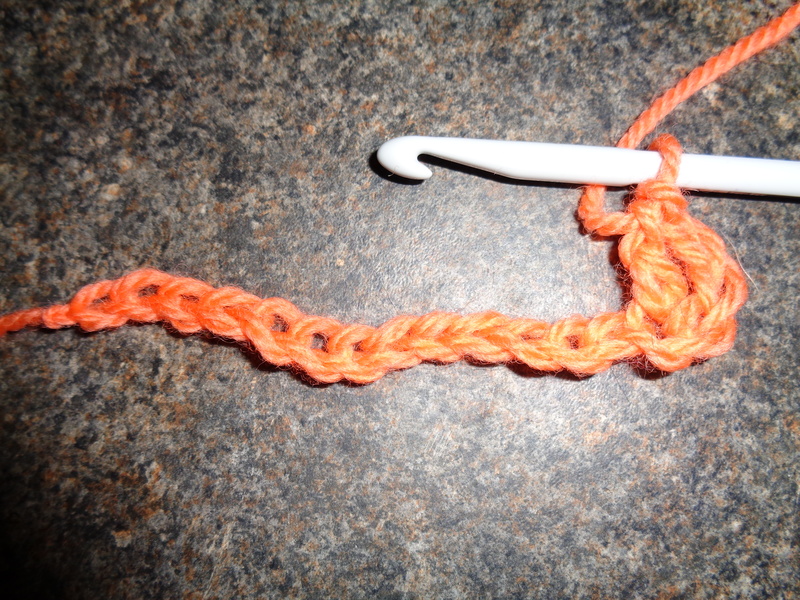 All you do is a turning ch, sc into the first two stitches, then instead of putting your hook into the chain stitch, put your hook into the space like this and pull the yarn through to make a sc. 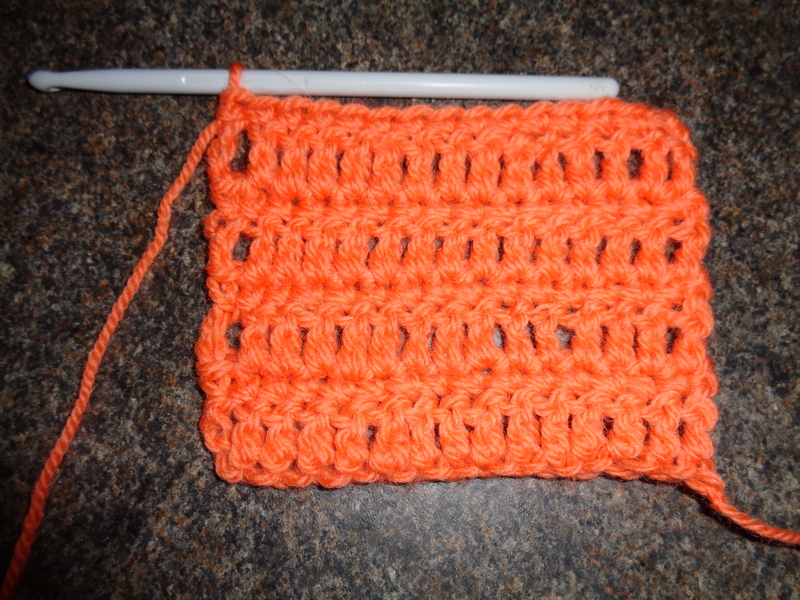 Put a second sc stitch in this space as well, then continue to complete the row. It should look like this, with a total of 18 stitches. Looking good?! Woof! Next we’re going to do it all again, repeat those 4 rows again. 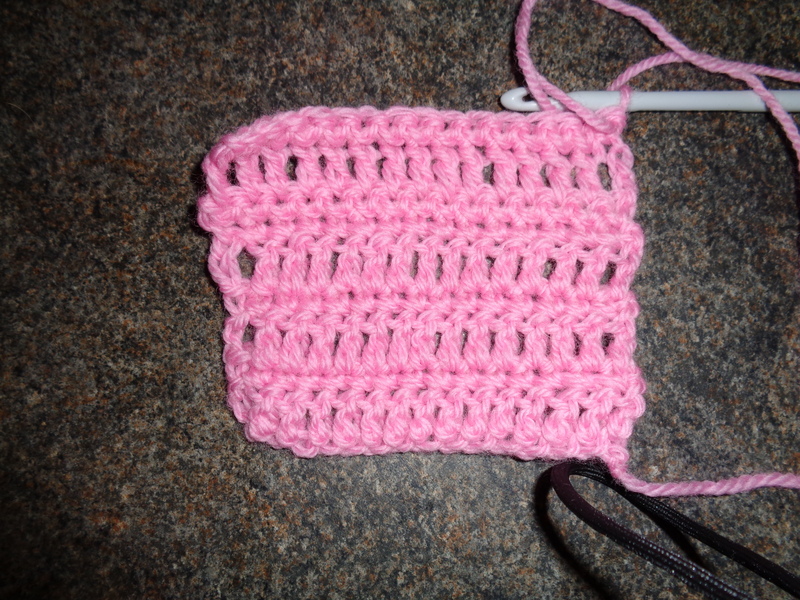 Now don’t be alarmed that my square has turned pink. I had to start it again… I made a big mistake… I’ll explain in 7. Troubleshooting. Along with all the other things that have gone wrong. Follow the pattern till you get to Row 17 and we’ll check in there at the beginning of the next lesson. You’re doing woof …. I mean, wonderful! Today we’re going to make a sample square. Now I know you’re probably thinking “enough of this already, let’s make the woofing scarf!” but this isn’t an unusual thing to be doing. Many patterns and just about all garments start with a tension square. 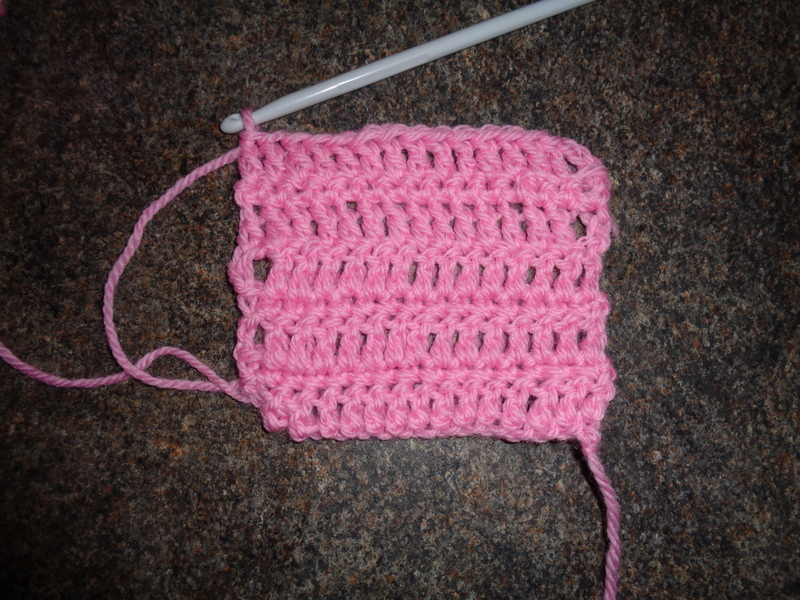 We’re not going to do that entirely but starting with a sample square is a great habit to get into. 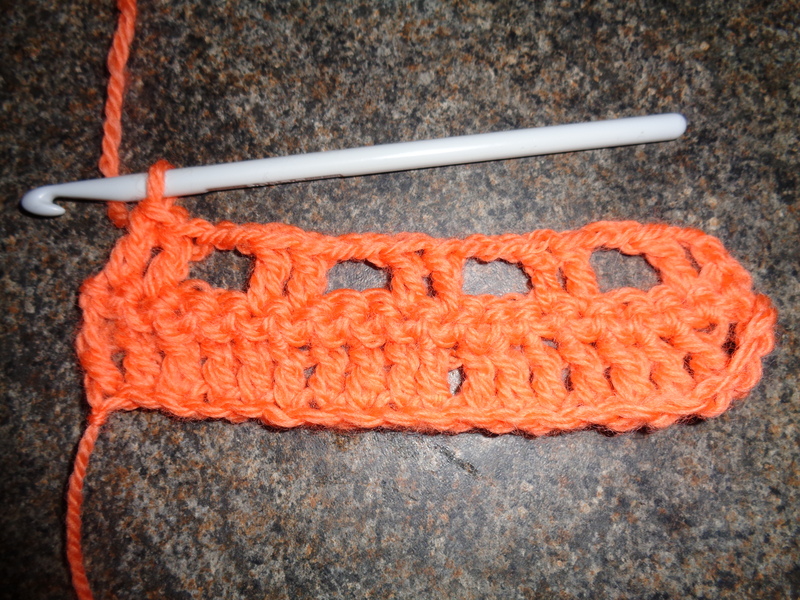 As I said yesterday, if you look through the pattern you will see that every odd row is double crochet, and every even row is single crochet, so that is what we are going to practice. 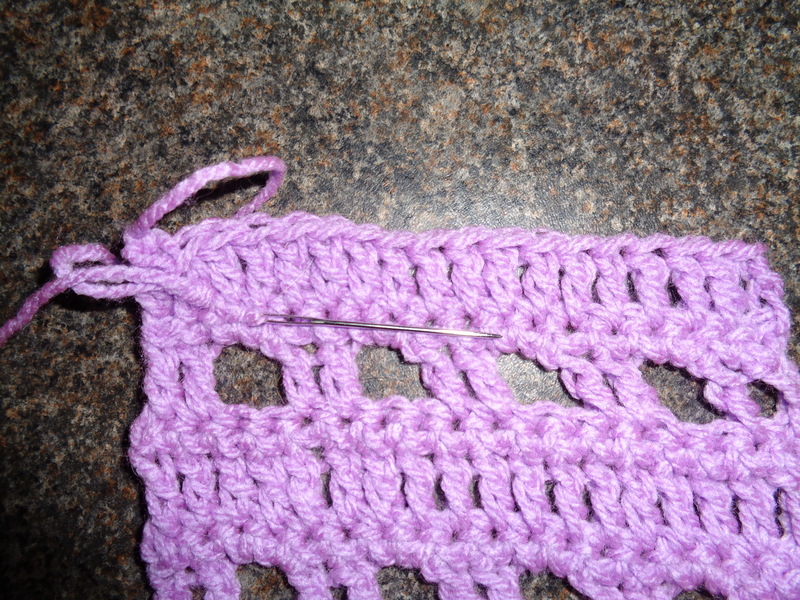 Start with 15 chain (ch) stitches. 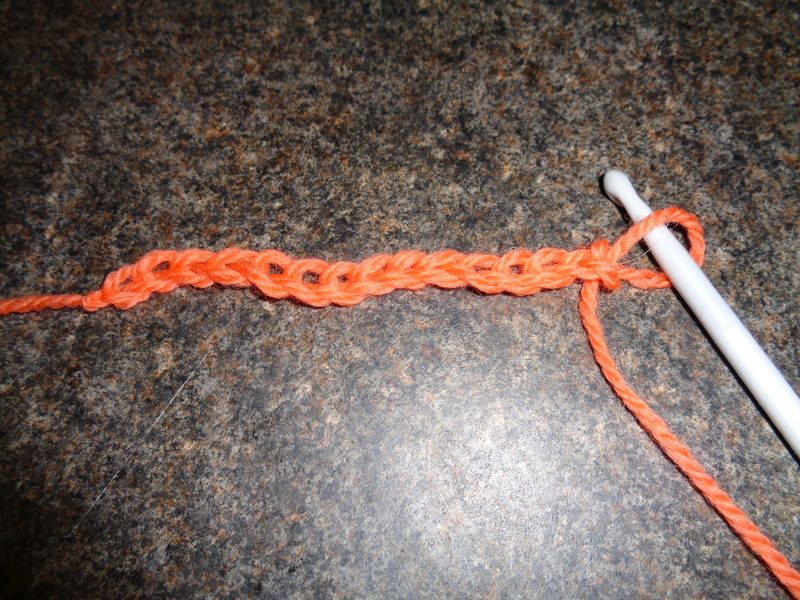 Make sure you don’t include the loop on the hook as one of your ch stitches. Next we’ll make our turning chain. 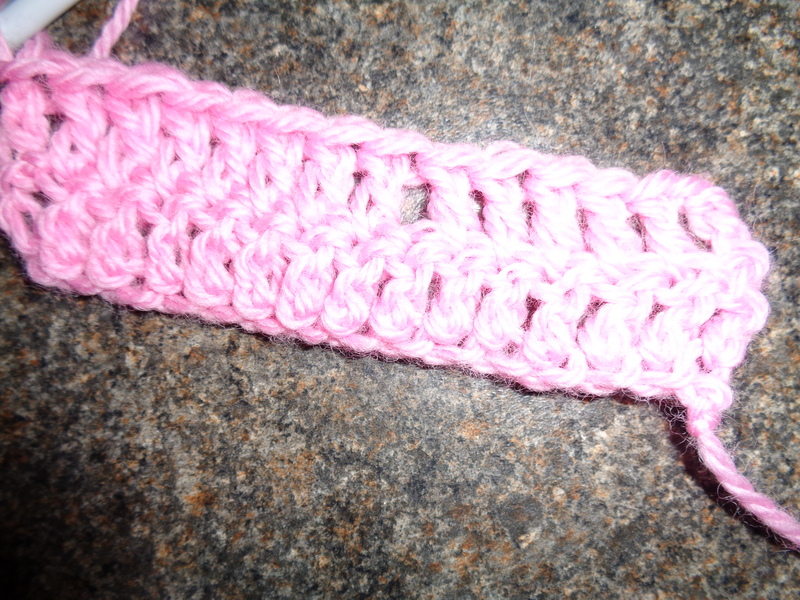 Because this is a row of double crochet (dc) stitches coming up we need a turning chain of 3 ch stitches, this will create a ladder like stitch as tall as a dc. So do another 3 ch as your turning ch for Row 1, which means you’ll have 18 ch in total, then do your first dc into the 5th ch from the hook. Now you have 2 stitches in your first row. Keep doing dcs and when you get to the end of the row you will have 15 stitches including the turning chain (first 3 ch) as 1 stitch. Make sure you count them! 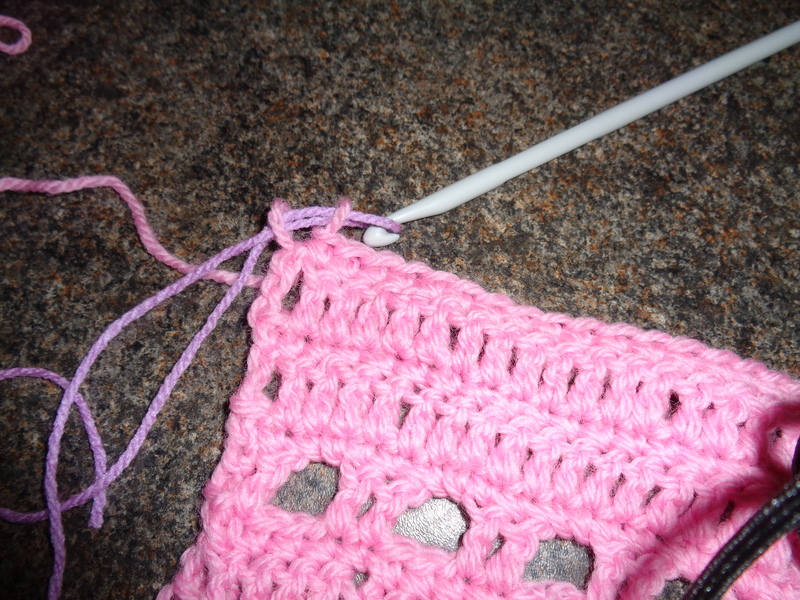 ALWAYS count your stitches at the end of the line – it will save you a lot of trouble!! It is easy counting dcs, just count the columns (these are called posts). 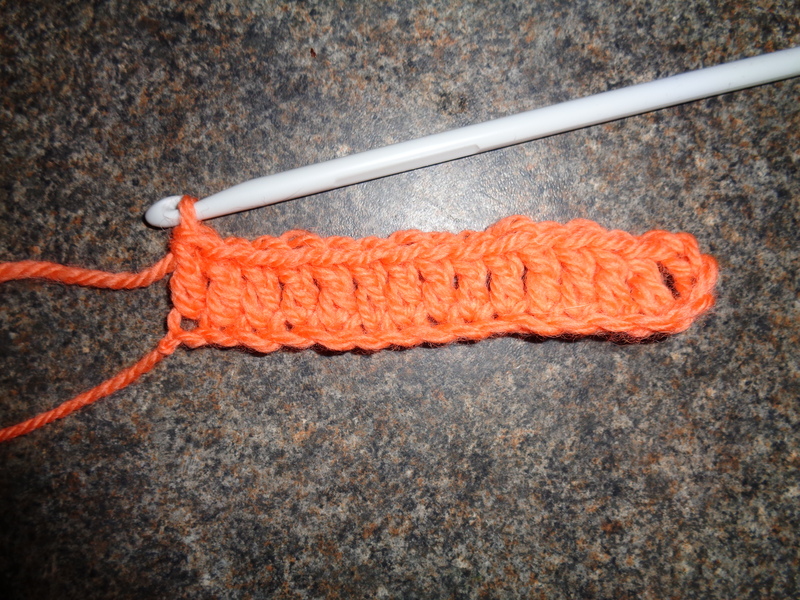 Next we will do a row of single crochet (sc). 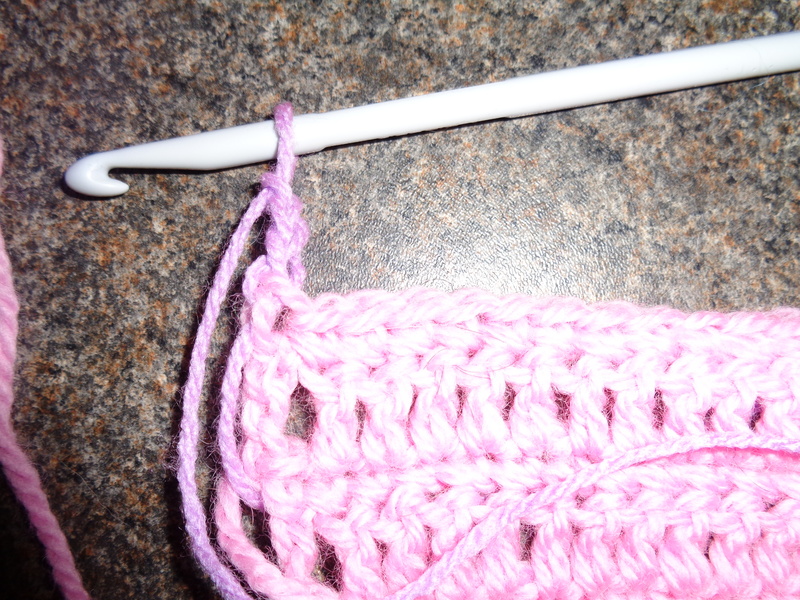 This is a short stitch so our turning ch only needs to be 1 ch. 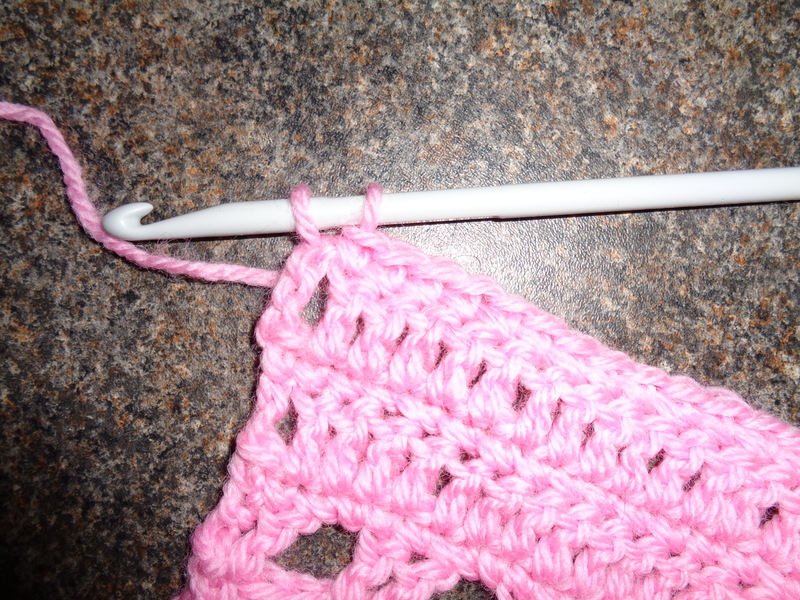 So do 1 ch then turn the work around so you are ready to crochet at the far right side. 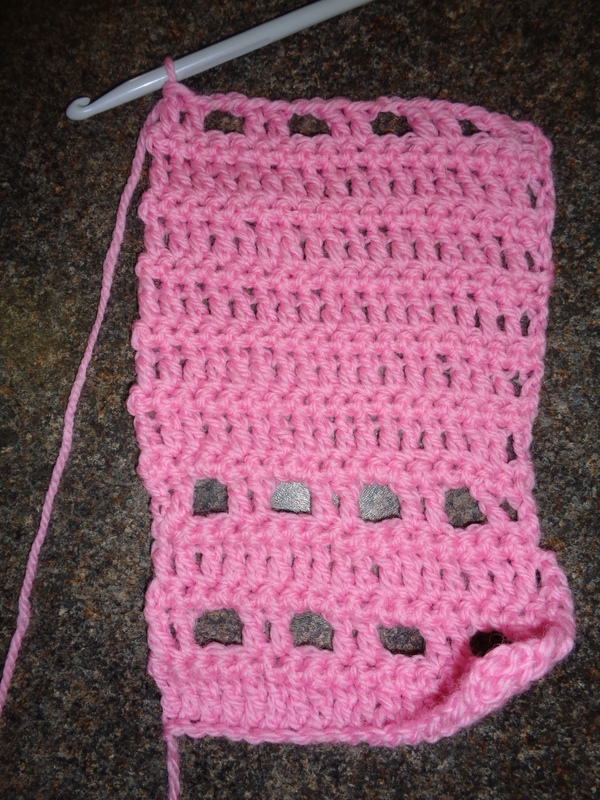 Crochet a sc into the top of the last dc in the previous row. Next, sc into each of the remaining dcs in the last row. When you get to the turning ch at the end of the dc row, sc into the 3rd of the 3 ch, in other words the very top chain. See my hook in the third ch?? Now that you have completed your row of sc COUNT them! Having trouble? Look at the top loops and count each one. Are there 15? Or did you count 16?? If you counted 16 don’t panic, you have probably counted the turning ch as a sc. Look carefully and see if this is so. 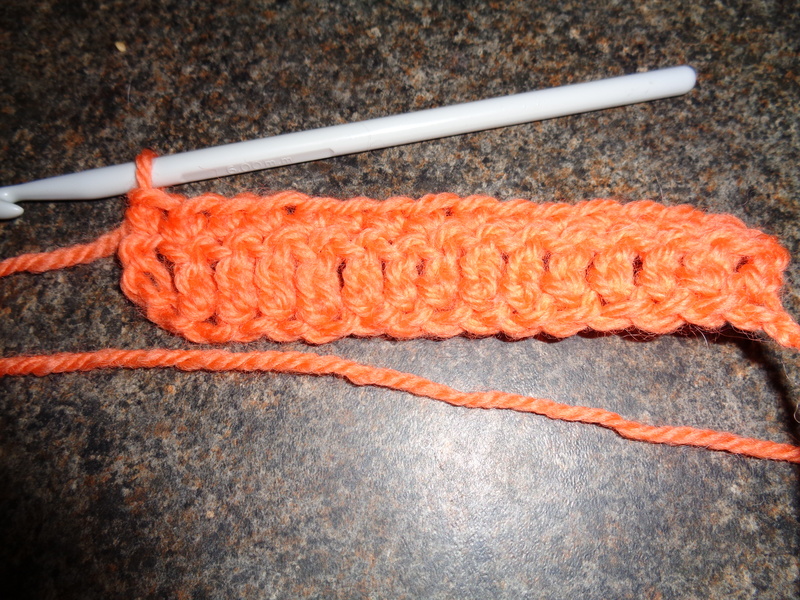 The turning ch will be a loop only, whereas a sc have have a chunky little stitch below the loop. 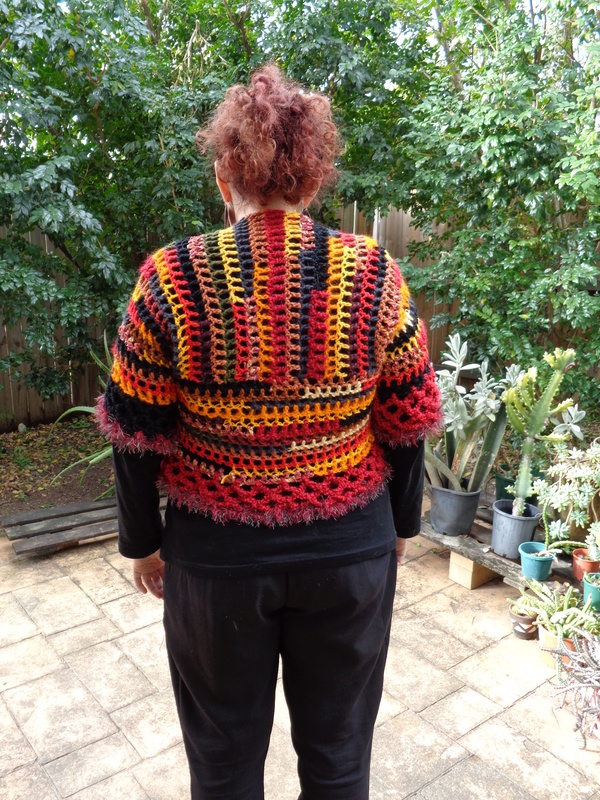 OK so now we’ve done 2 rows. 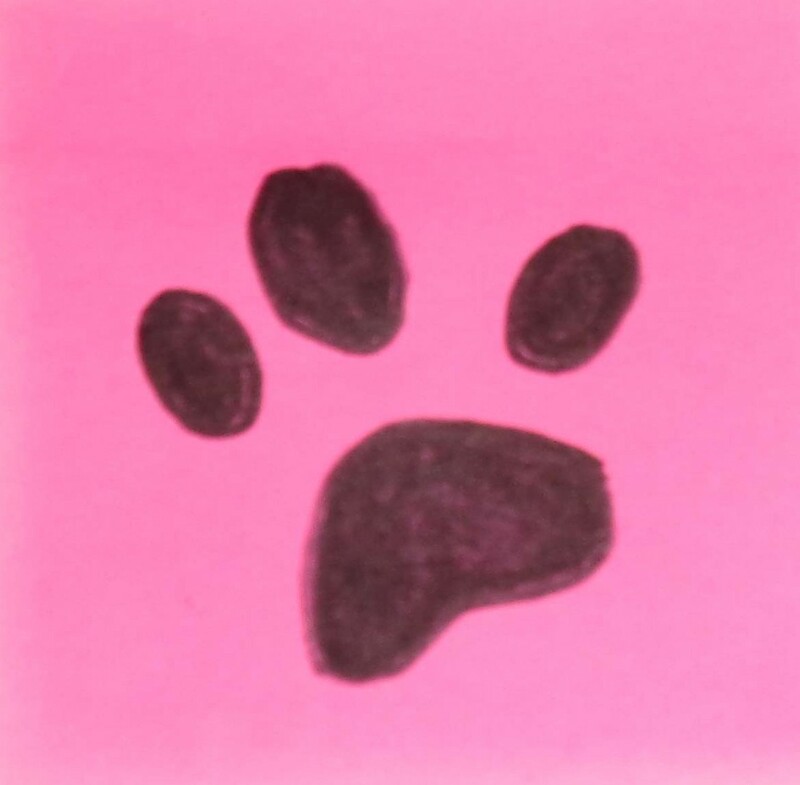 That was woof… I mean fun, wasn’t it! Next let’s do 6 more rows alternating between sc and dc and see how we go. 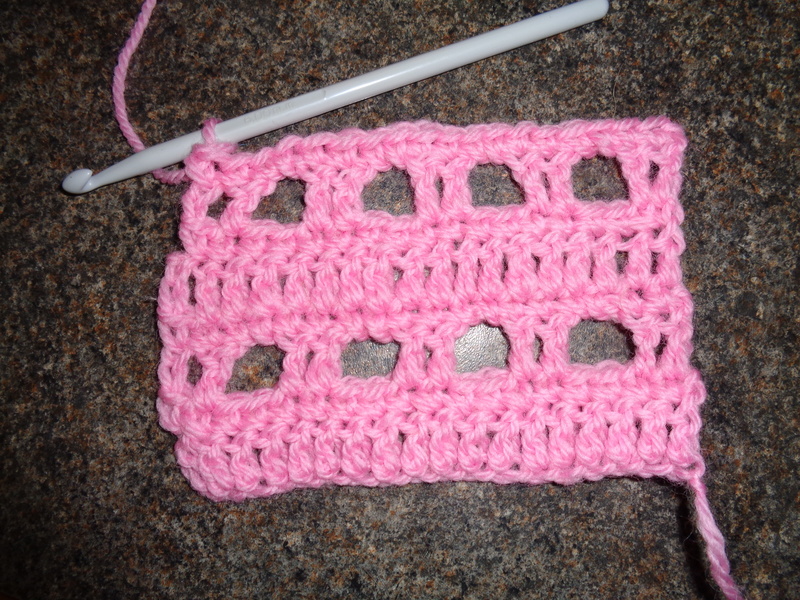 Remember to count those stitches at the end of each row. If you don’t remember which row you are up to – dc or sc – an easy way to remind yourself is to look at the tail and incoming yarn threads. 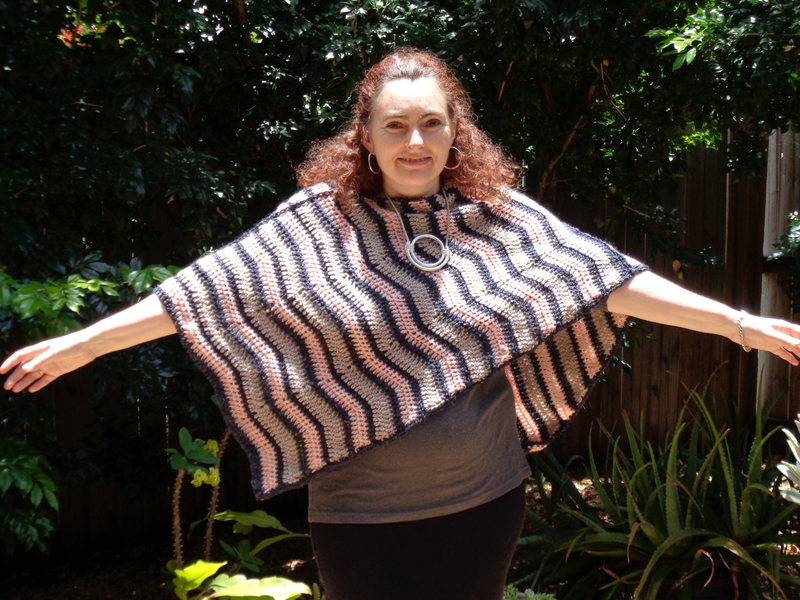 If both yarn threads are on the one side you have completed a dc row, if they are on different sides you have completed a sc row. 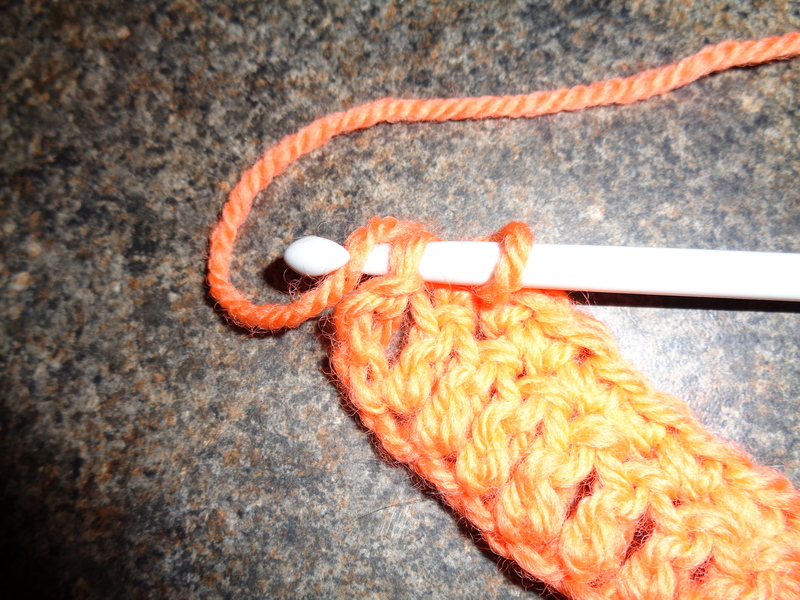 And if you do make a mistake, pull the hook out and pull the yarn. Just unravel back to where you went wrong and try again! 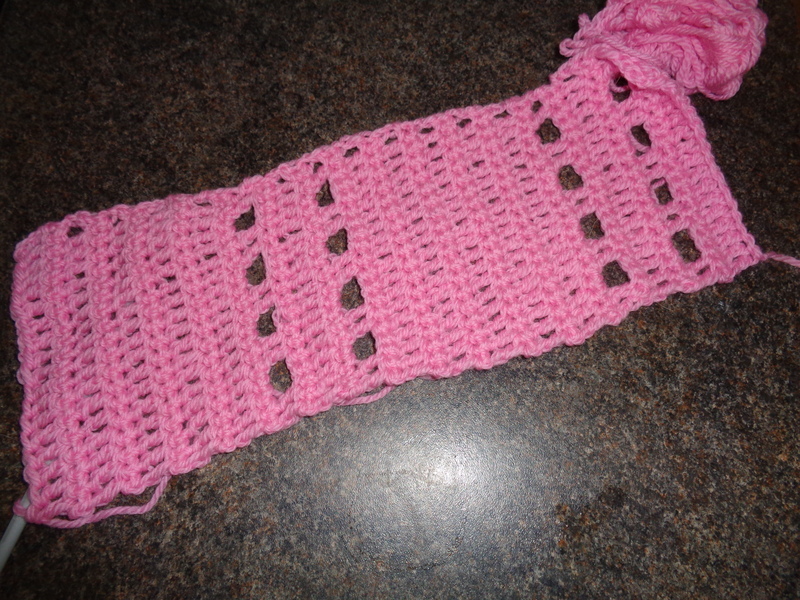 Don’t be frustrated, we all make mistakes, just think of the beautiful scarf you’ll soon own and keep on trying. OK so this is what it should look like when you’re done. Now if you have a problem and you don’t know why, jump ahead to lesson 7.Troubleshooting for some examples of the kind of things that go wrong and how to fix them. Or contact me at the end of this tutorial or through the contact us page. Don’t give up! 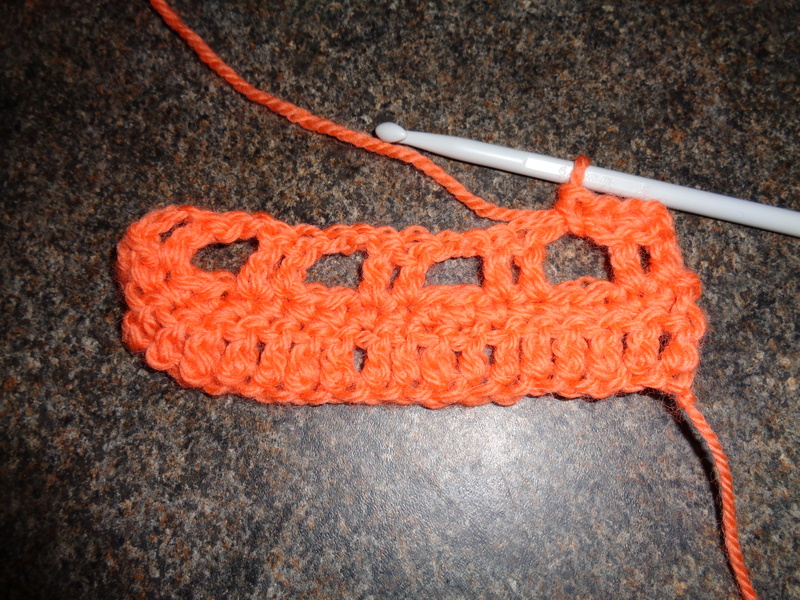 Once you’re happy with how your stitches are looking you are ready to move on to the actual scarf. Woof… I mean yah!